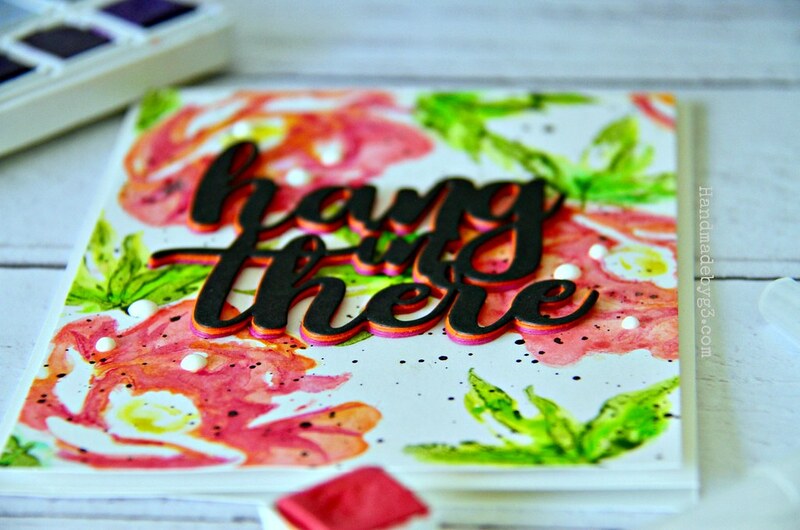 Hi there, Sharing a floral background card which I create by stamping with watercolours. I am taking Altenew Academy’s Watercolor Basics and Beyond class. This day #3 of the class. 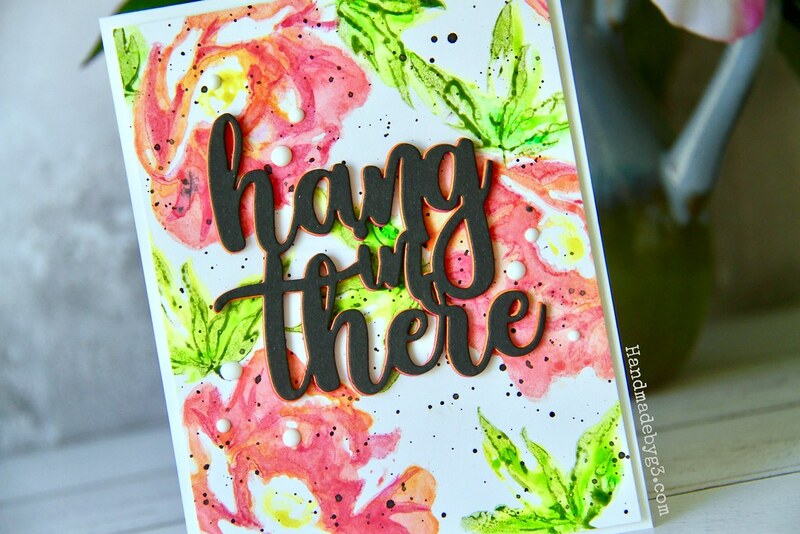 I used Hope stamp set to stamped the background using Altenew’s Watercolor Pan Set. 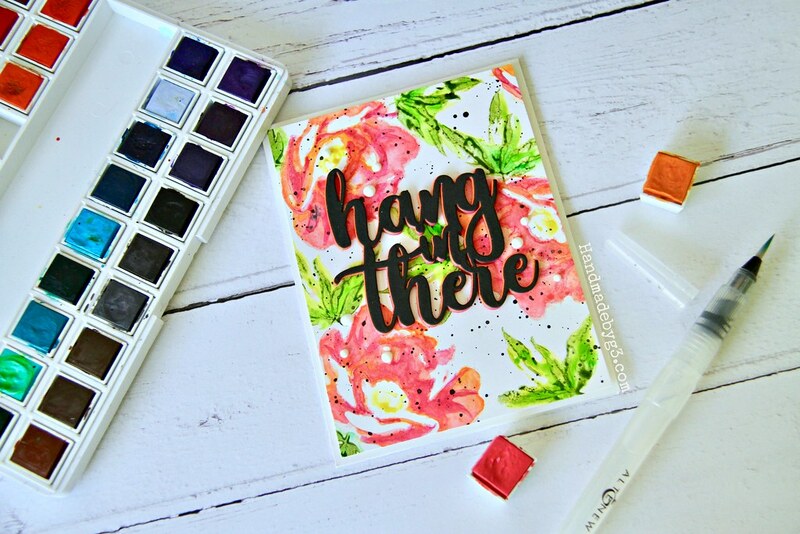 I used the second layer flower and leaf stamp to paint the watercolours on and stamp on Arches Hot press watercolor paper. Once that layer is dry, I came in with the third layer flower and leaf stamp with a darker shade of the same background colours to stamp over to add a bit more definition and depth to the images. I left the panel to dry, while I die cut the sentiment. In all I die cut five pieces of the Hang in There die. Two pink, two orange and one black. I stacked glued them all with the black die cut on top slightly offset to see a ting of the coloured cardstock on the side. Now the panel is dry, I trimmed it to 4×5.25 in size. The spattered black watercolour from Altenew Watercolor Pan Set all over the panel. Then adhered this panel on a white card base using foam adhesives. Then I adhered the stacked die cut sentiment in the middle of the panel. 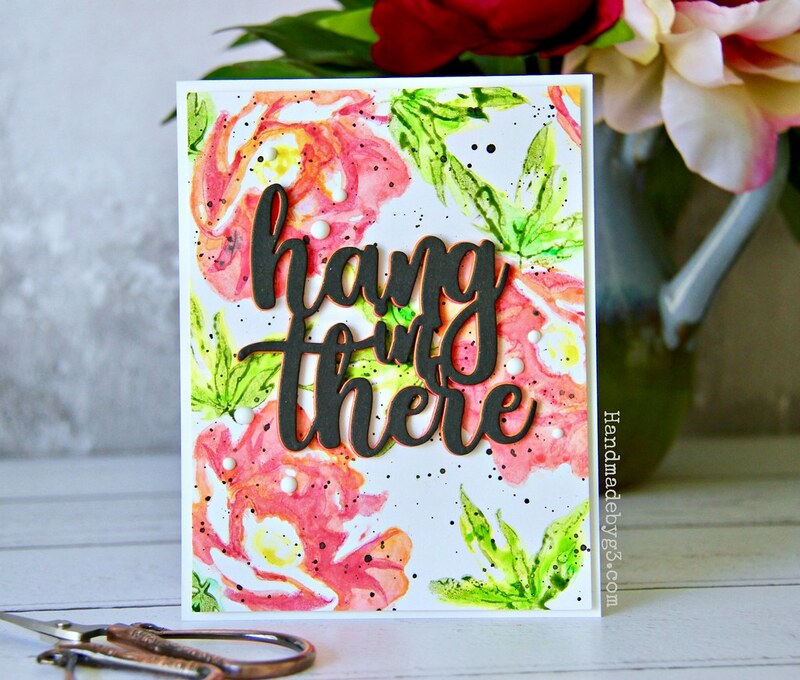 Love how the pinks and oranges from the watercolour stamped images ties in with the pinks and oranges on the stacked die cut sentiment. Finally I added a few white Nuvo drops to finish off the card. 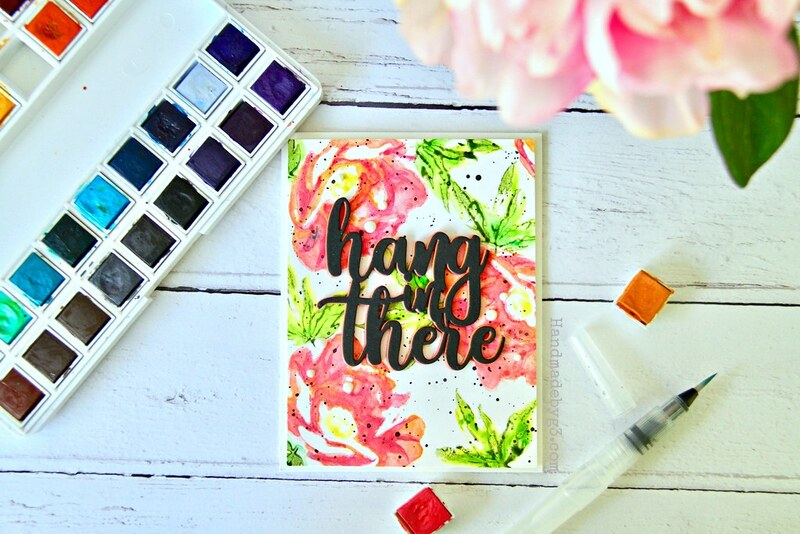 I love love the soft watercolour stamped floral background. It turned out very pretty. I love it. Must try more often. All supplies used to make this card are listed below. Hope you like my project today. Have a wonderful weekend! Of course you go above and beyond! 🙂 hehe. Great job adding another layer of the flower…I actually hadn’t thought to do that. And your stacked sentiment with 3 colors is fantastic! Thanks for linking up your masterpiece!